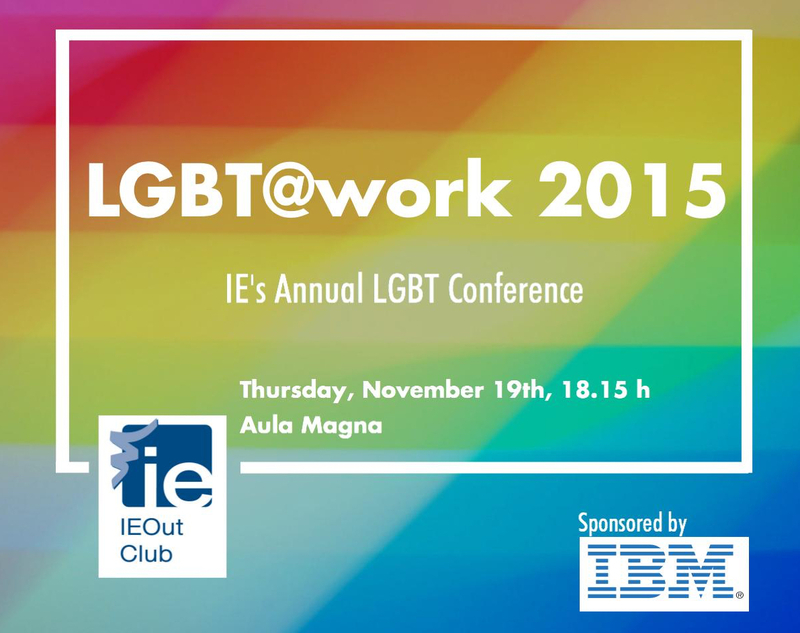 LGBT@work is IEOut's annual conference on diversity and best LGBT inclusion practices in organizations and academic institutions. Marijn Pijnenburg is IBM's Business Development Executive for Workforce Diversity and LGBT Markets for Europe. In this role he provides strategic advisement to IBM customers in traditional and growth markets on how to leverage human capital, diversity, inclusion, LGBT, and collaboration as critical business drivers to foster innovation and generate business opportunities in the global market place. Marijn also manages IBM's corporate community partnerships with LGBT / Diversity organisations throughout EMEA. Joining IBM in 1996, Marijn has worked in various roles in Strategy & Change and Business Transformation. He is initiator of a several LGBT Business Forums throughout EMEA and board member of Workplace Pride, an NGO focussing on ensuring safe and inclusive workplaces for the LGBT employees. And steering committee member of OUTstanding, a not-for-profit professional network for LGBT and ally executives focused on driving LGBT inclusion at a senior level in business. Manuel Ródenas is the director of the LGTB Information and Support Program of the Community of Madrid, where he provides advice and support to improve LGTB access to justice and resources.He is a prominent LGTB activist, and the first Spanish attorney to bring a case before the Constitucional Court regarding the custody rigths of a transgender mother, and the first attorney to appeal to the European Court of Human Rights in a case adressing discrimination on the basis of gender identity.In 2012, he was awarded as Best Lgbt Attorney In Washington D.C( USA).He continues to focus much of his work publishing " Needs of the Transsexual and Homosexual Communities in the Municipality of Madrid"," Corpus Jurídico de la familia homoparental","Access to employment for Trans population".He has been the director of "New family models course" at the International University of Andalucía. Lucas Platero, born Raquel, has a PhD in Sociology and Political Science. Since 2003, he has been involved in many European research projects (MAGEEG, QUING and HERMES) mostly related to policy frames, intersectionality, the entrance of LGBT in the Spanish political agenda and homo/transphobia. He is the co-author of the book: Herramientas Para Combatir el Bullying Homofóbico (Tools to Combat Homophobic Bullying, Talasa, 2007); editor of Lesbianas, Discursos y Representaciones (Lesbians, Discourses and Representations, Melusina 2008) and “Intersecciones: Cuerpos y Sexualidades en la Encrucijada” (Intersections: Bodies and Sexuality at the Crossroad, Bellaterra, 2012). His lastest book, called "Trans*exualidades - Acompañamiento, Factores de Salud y Recursos Educativos" (Trans*genderisms - Accompaniment, Health Factors and Educational Resources) was released in October 2014 and has been lauded by critics as "an instrument for social change"
Marta is highly involved in promoting the visibility and normalization of the LGBT community, with special focus in lesbian women. She studied 2 degrees (Law and Business Administration) and a MBA from Instituto de Empresa. She has worked 10 years as strategic consultant in multinational firms as KPMG. In 2014 Marta founded LesWorking with María Jesús Diez. LesWorking is an international professional network for lesbian women. LesWorking has achieved quick adoption by powerful lesbians around the world and high impact in media. Nowadays there are almost 1.000 women inside the network. Recently, Marta has left her job in business consulting to join Hansen and Partner, a company founded by Kristin Hansen in Palma de Mallorca, specialized in tourism, consulting and events for LGBT community. Hansen and Partner is the promoter of ELLA International Lesbian Festival, the leading festival for lesbian women in Europe, and the organizer of ELLA Travel, the first lesbian travel section inside FITUR Gay (LGBT). Born in Madrid. Engineer specialized in Sustainable Economy and International trade, with graduate and postgraduate degrees from Universidad Politecnica de Madrid, Spain Diplomatic School, UC Berkeley and Università degli studi di Bologna and Perugia. Currently working at Procter & Gamble Europe as Country Insights Manager for Southern Europe –ie: market consultant for business decisions, identifying and activating consumers insights that inspire and guide successful go to market strategies. Óscar is a passionate supporter of diversity at the workplace, board of the P&G Spain Diversity & Inclusion leadership team, leader of P&G LGBT employees’ network in Spain and Italy (GABLE), and co-founder & board member of the first inter-corporations LGBT @work leaders network in Spain.